As a kid, tomato soup was my favorite. The main reason could have been that that there were not many options available back then. Eating out itself was an infrequent event, that i never really got around to checking out the other options for soups. 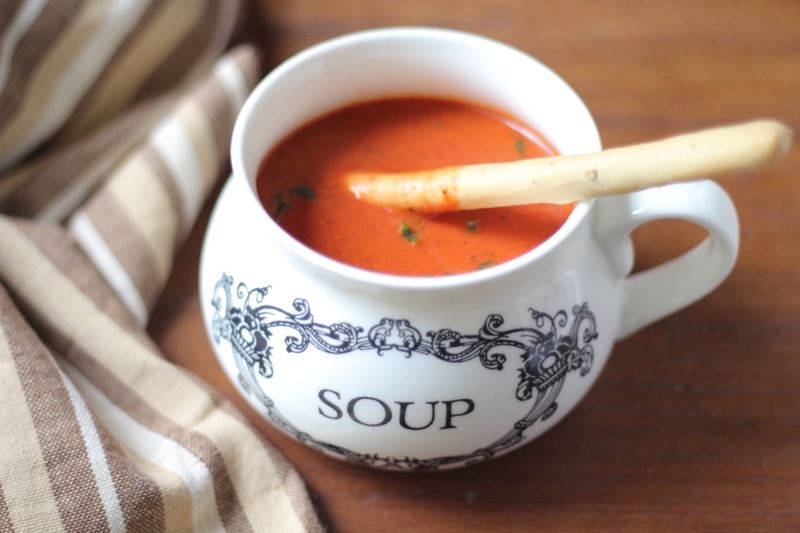 Now, despite having tried different soups, tomato soup remains my favourite. With no artificial flavouring or colouring agents, this recipe retains the goodness of tomatoes. Tomatoes are rich in Vitamin A, C and K. Check out Jen Reviews for more information on the health benefits of tomatoes. Last week I decided to embark on a diet control program and in the process decided to substitute the full fledged dinner with soup. After the maggi fiasco, i thought it was better to be safe than sorry and threw away all the ready to eat noodles and soup packets. So i started poring over my old recipe books for home-made soup recipes. 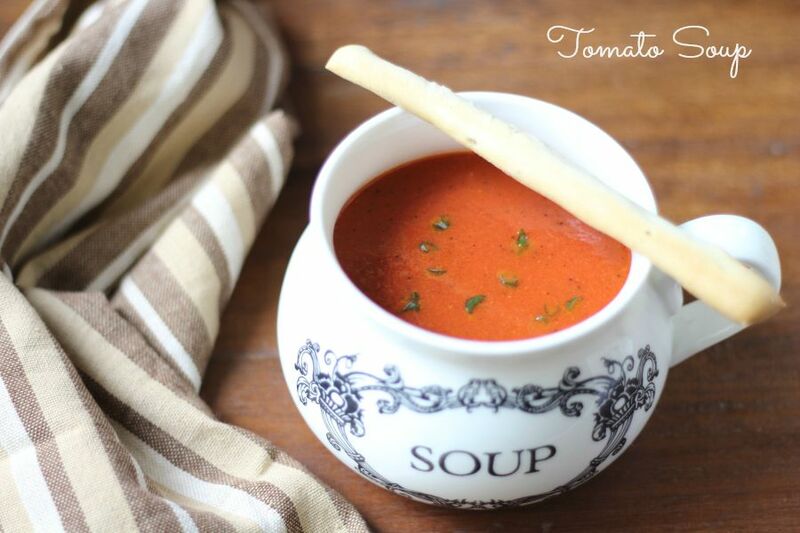 I came across this recipe for tomato soup that i had made quite a few times. I have had different versions of Tomato soup at different places and i like ‘this’ version the best. I learnt this recipe at a cookery class i had attended eons back. It is easy to make and tastes amazing! Add the whole spices (cardamom, cinnamon, cloves and peppercorn). Fry it for a bit and then add the garlic and onions. Fry the onions till it is light brown and tender. Now add the quartered tomatoes and fry it till the skin shrinks. Add beetroot, salt and water to this and pressure cook for 5 mins. Cool the mixture and blend it well using a mixer-blender. Strain the soup onto a vessel. Add milk to it and boil it for 2-3 minutes. Add more/less water according to how thick you would want your soup to be. Use ripe tomatoes to make the soup.